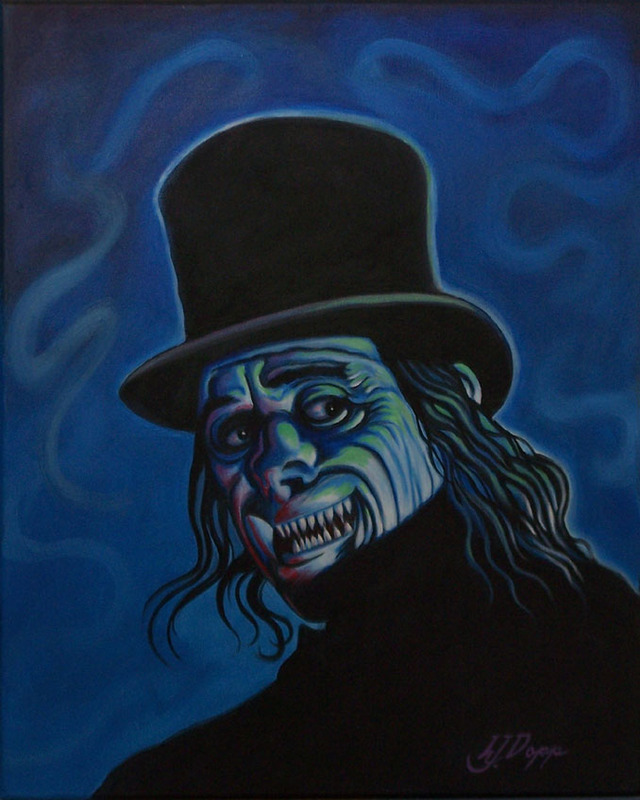 Monster Art: "London After Midnight"
Here is Daniel Horne's portrait of Lon Chaney in "London After Midnight". 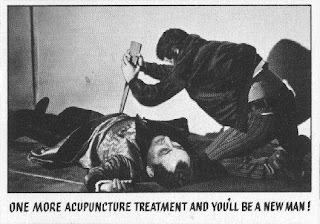 Be sure to visit Daniel's website! 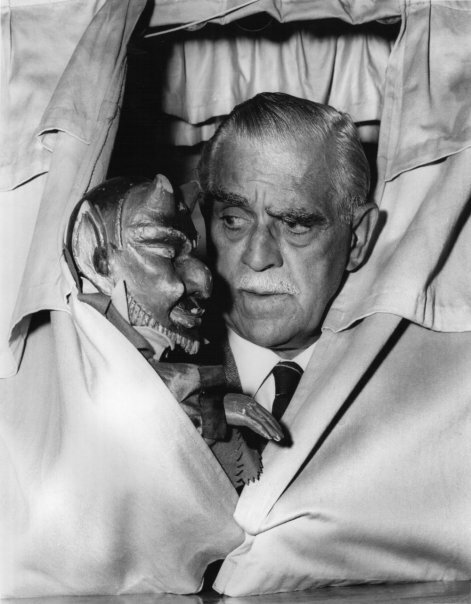 Boris models for a lifesize bust. 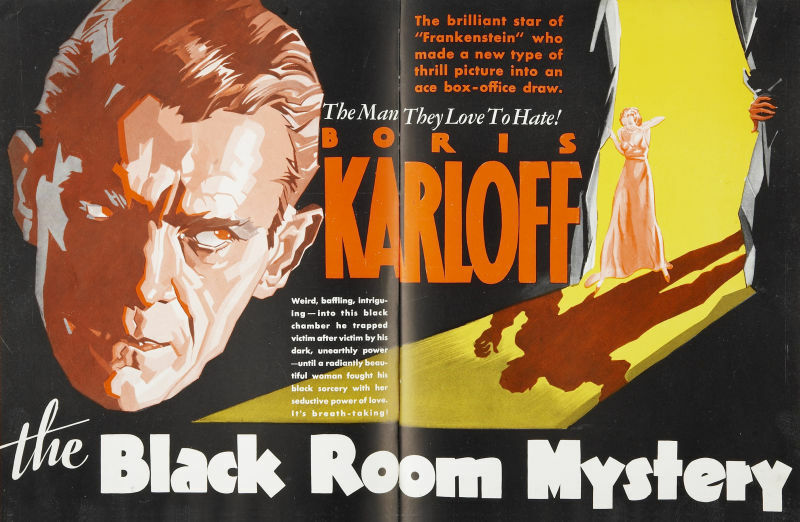 Monster Movie Posters: "The Black Room Mystery"
Here is an early advertisement for what would eventually become "The Black Room". 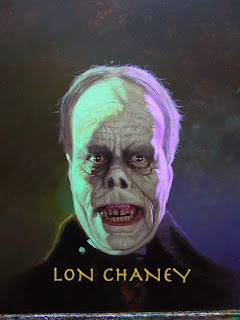 Monster Art: "Phantom of the Opera"
Here is Daniel Horne's wonderful painting of Lon Chaney from "Phantom of the Opera". Please visit Daniel's site to see his work. 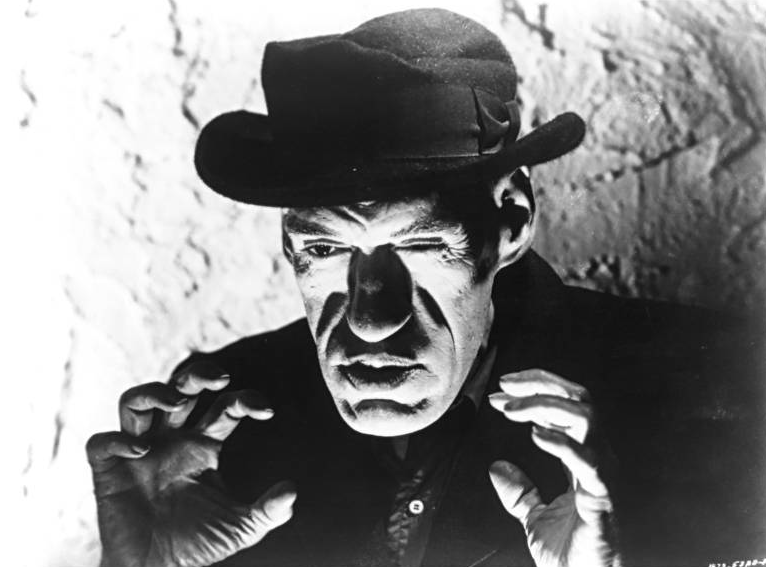 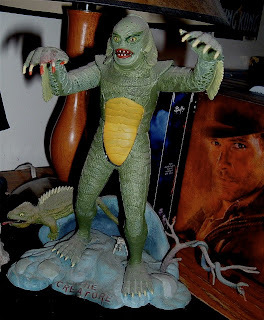 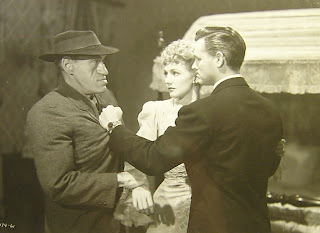 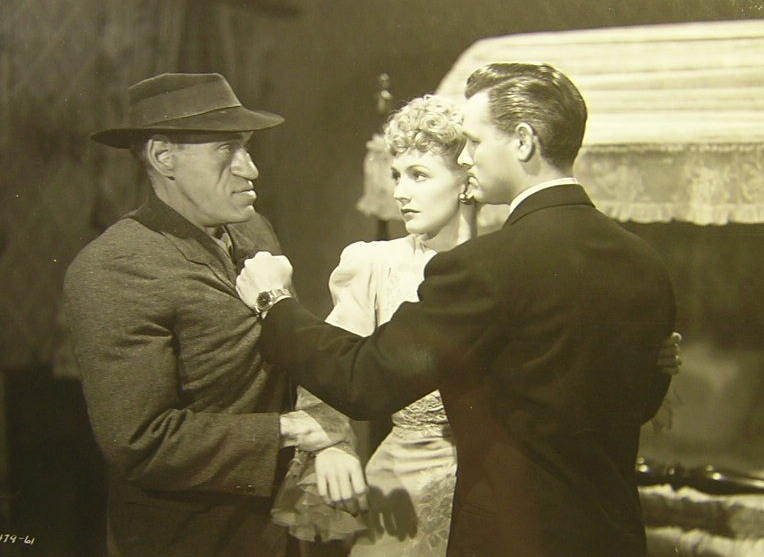 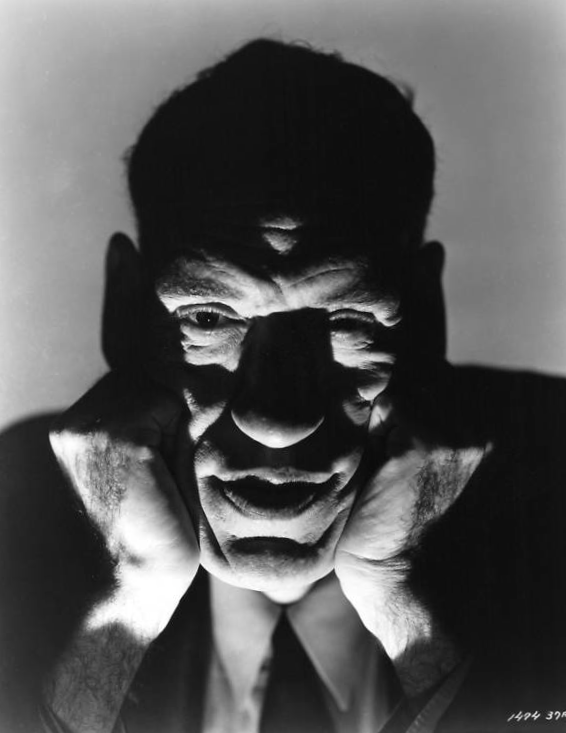 Here is Rondo Hatton as The Creeper! 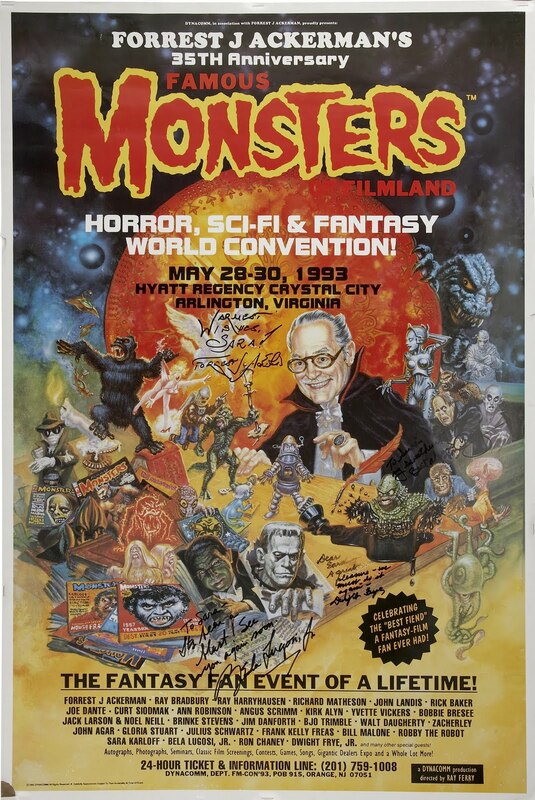 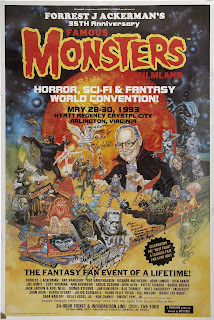 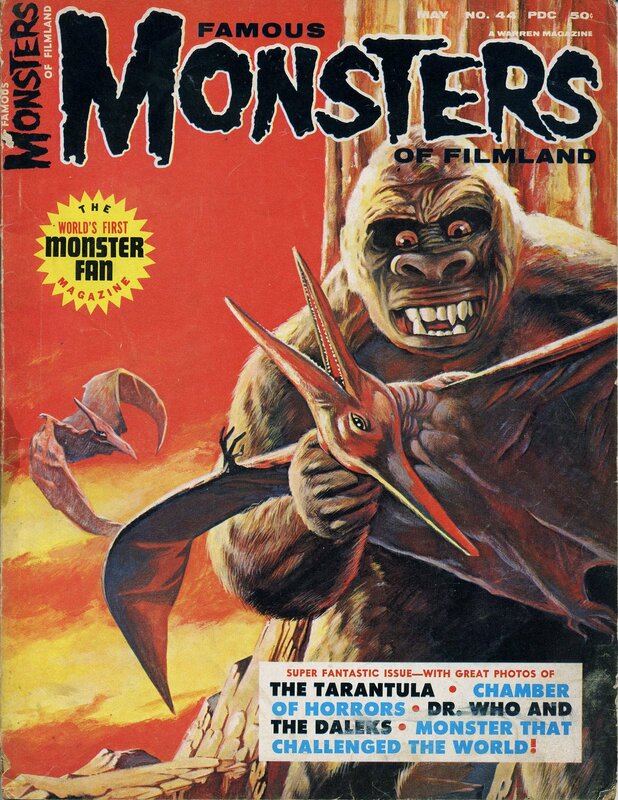 This is a poster advertising the Famous Monsters Convention of 1993. 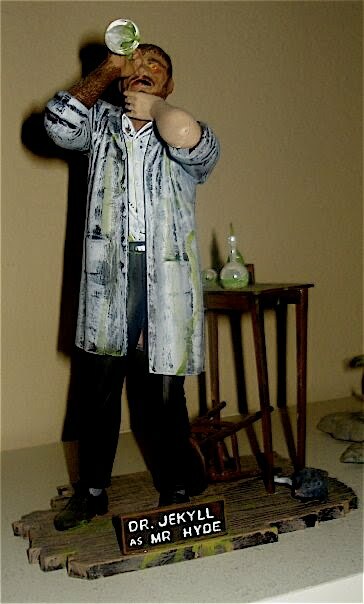 What Good Is A Brain Without Eyes To See? 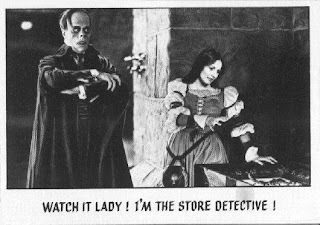 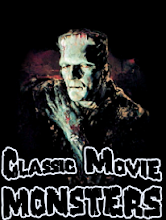 A blind Monster attacks Lionel Atwill for giving him a "dysfunctional" brain in "Ghost of Frankenstein". 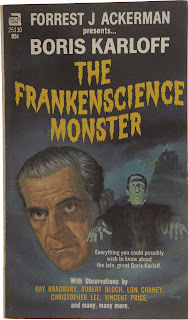 This is a book Forrest Ackerman put together as a tribute to Boris Karloff when he passed away. 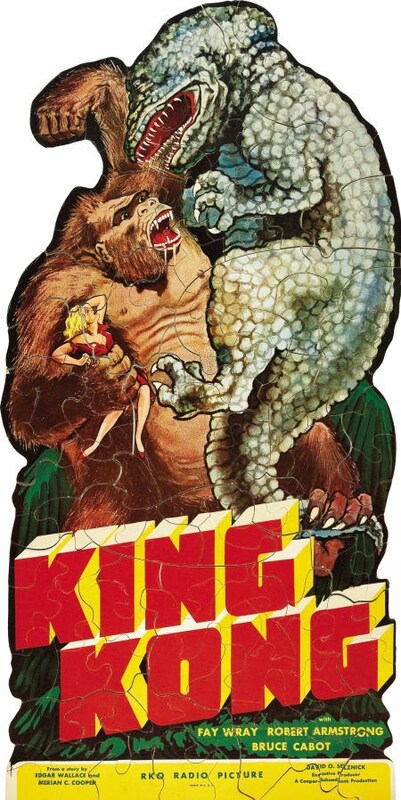 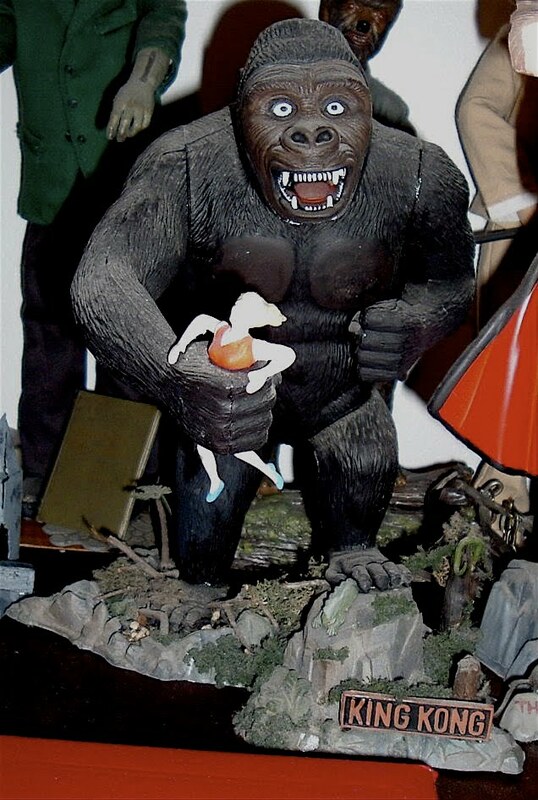 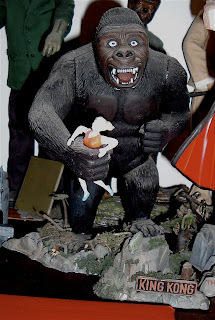 This puzzle was a promotional item for the opening of 1933's "King Kong". 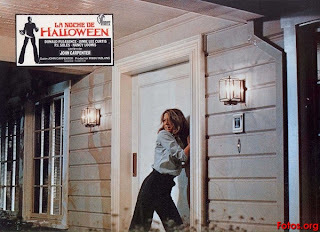 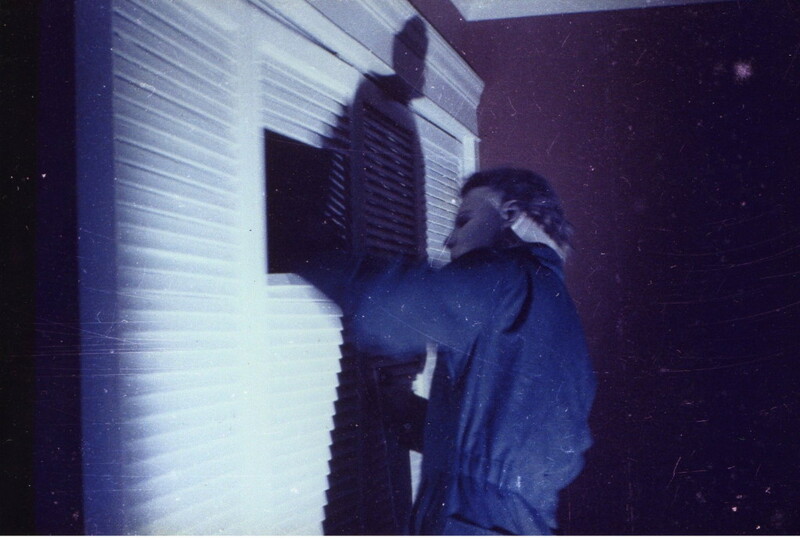 Michael Myers wants what is inside the closet in "Halloween". 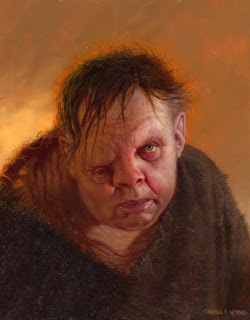 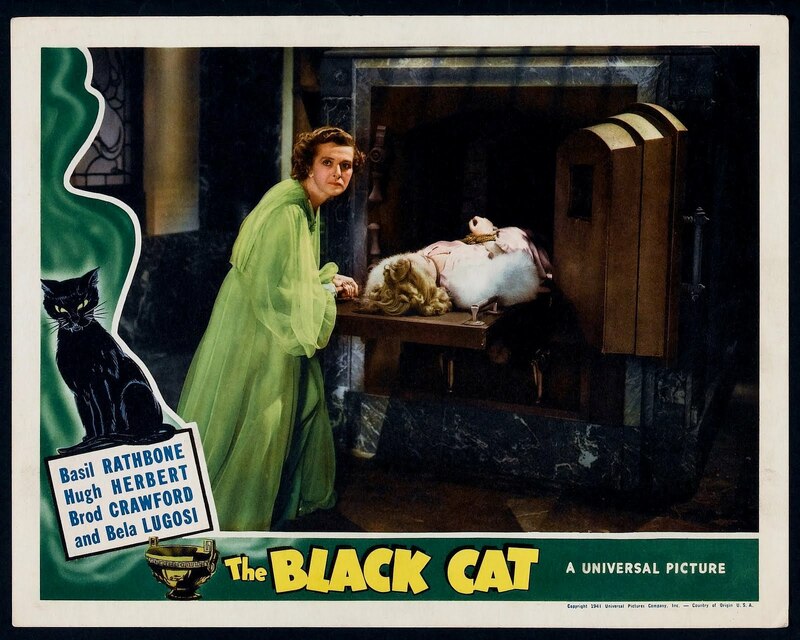 Monster Movie Posters: "The Black Cat"
Daniel Horne once again proves why he is one of the best Monster Artists around with this wonderful portrait of Charles Laughton as Quasimodo in "The Hunchback of Notre Dame". 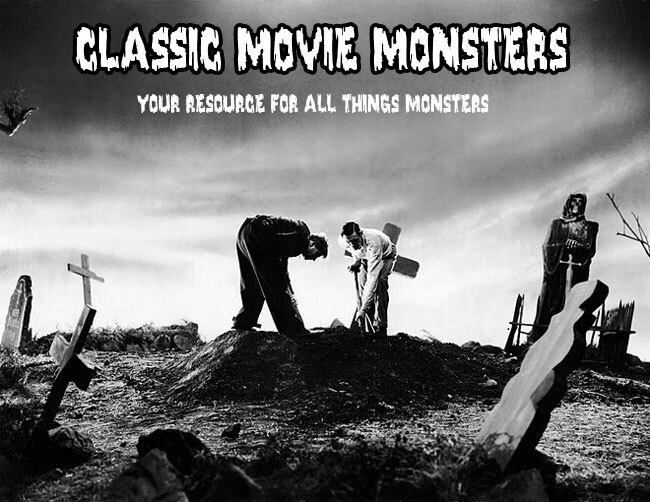 Do yourselves a favor a visit DANIEL'S WEBSITE. Here is a wonderful portrait of Rondo Hatton. Frankenstein and the Wolf Man battle to the death in this staged publicity shot for "Frankenstein Meets the Wolf Man". 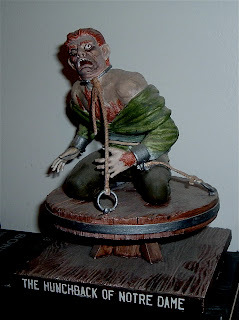 The Wolf Man unexpectedly walks into a trap as he prowls the English countryside. 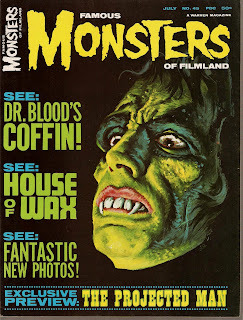 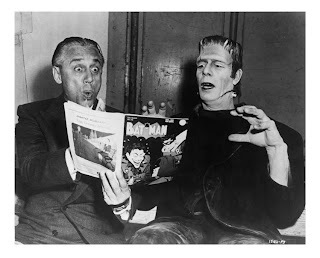 Glenn Strange is having a heck of a time reading the latest adventures of Batman on the set of "House of Frankenstein". 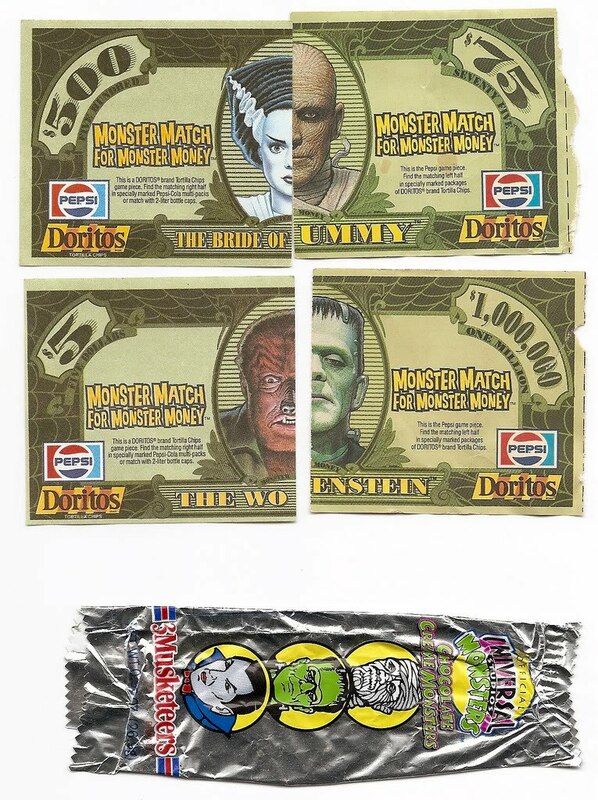 Doritos and Pepsi had a Monster Money Match promotion in the early 1990s. 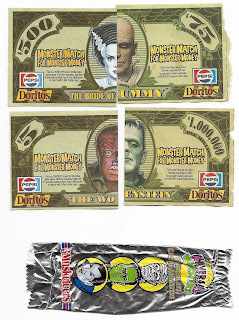 And on the bottom is a Monster Three Musketeers Bar. 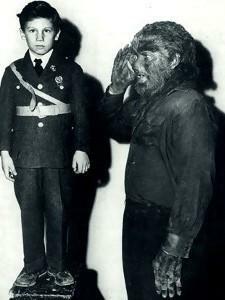 Lon Chaney, Jr. poses with the son of Bela Lugosi on the set of "The Wolf Man". 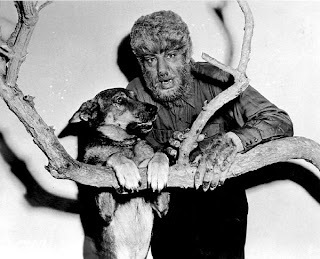 Lon and his dog Moose pose for a picture on the set of "The Wolf Man". 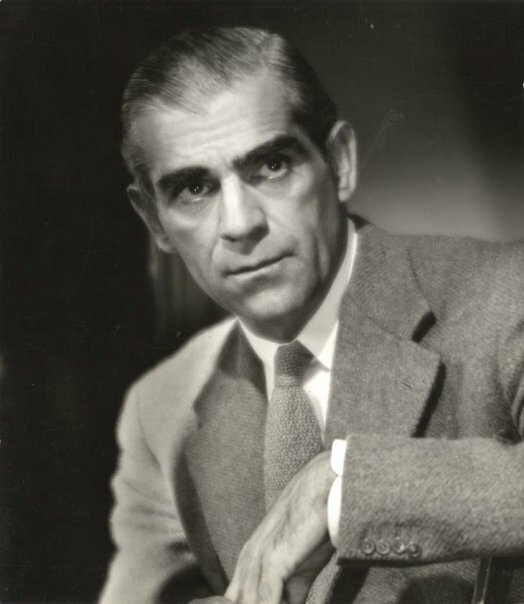 A nice portrait of King Karloff. 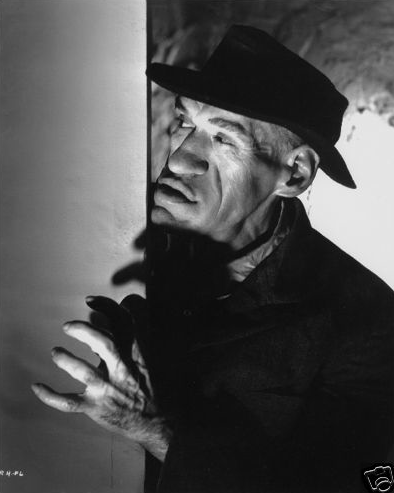 This guy must have nerves of steel to threaten the Creeper in "The Brute Man". 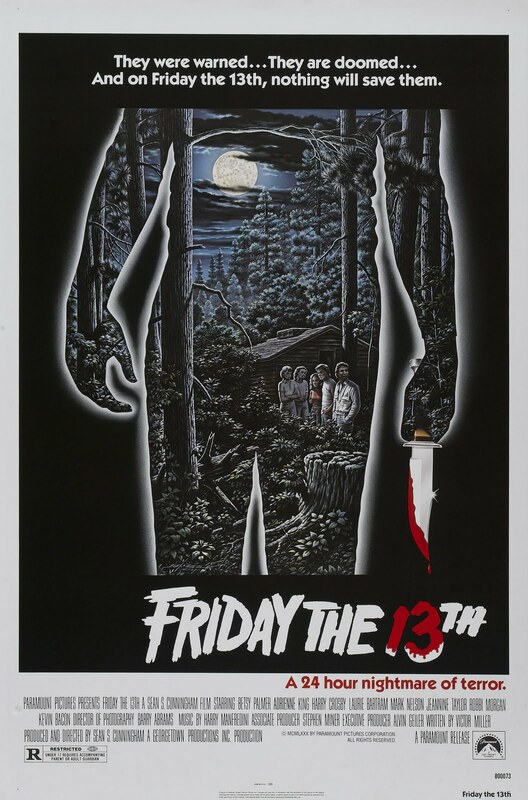 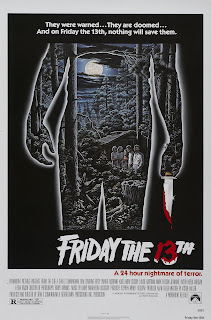 To celebrate, here is the movie poster from the original film! 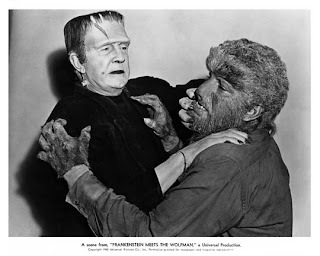 Wolf von Frankenstein checks the vital signs of the Monster as Ygor looks on in "Son of Frankenstein". 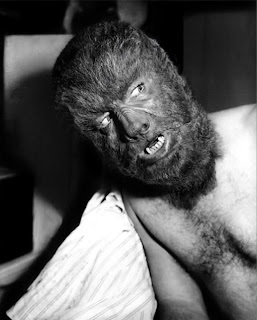 Lon Chaney, Jr.'s make-up is good to go for the shooting of "Abbott and Costello Meet Frankenstein". 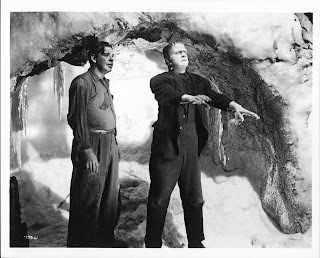 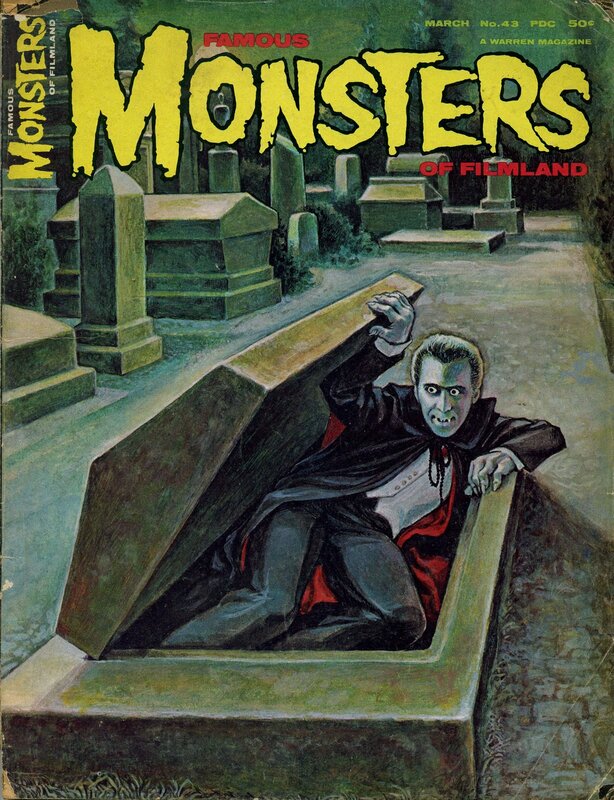 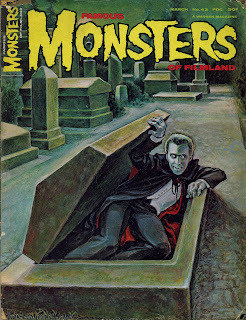 Larry Talbot frees the Monster from his icy tomb in "Frankenstein Meets the Wolf Man". 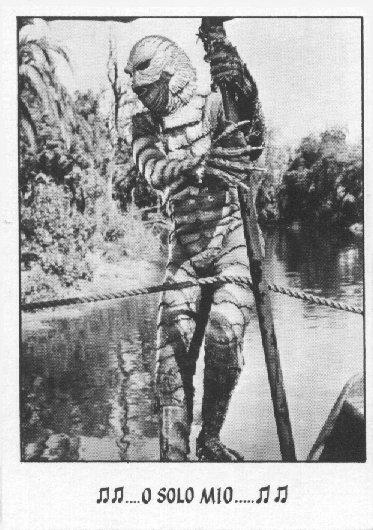 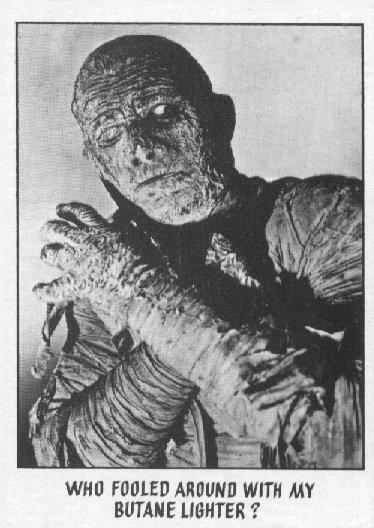 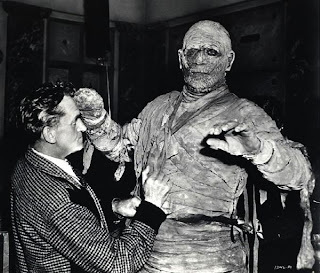 Lon Chaney, Jr gets a little help with his mummy suit on the set of "The Mummy's Tomb". 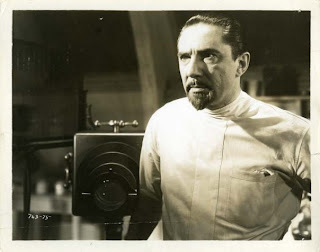 No, Lugosi is not invisible, but here is a scene from his film "The Invisible Ray". 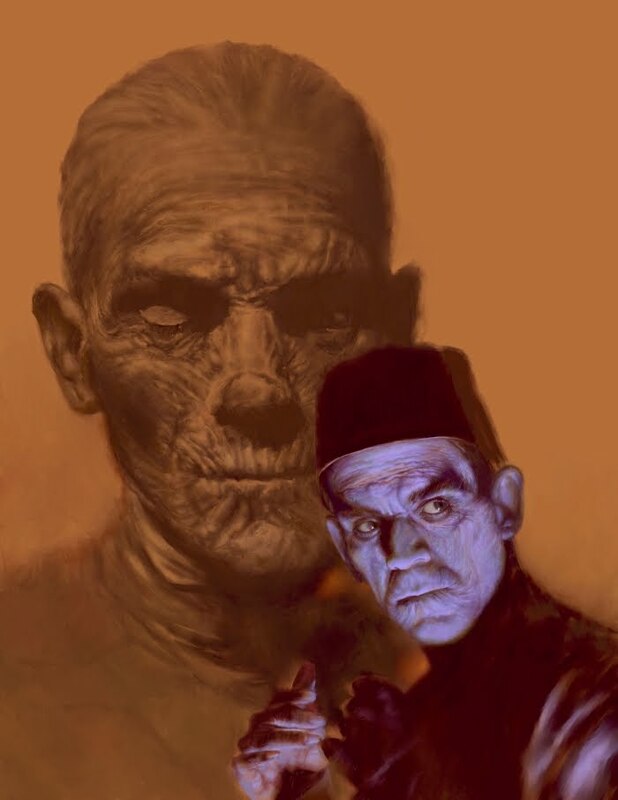 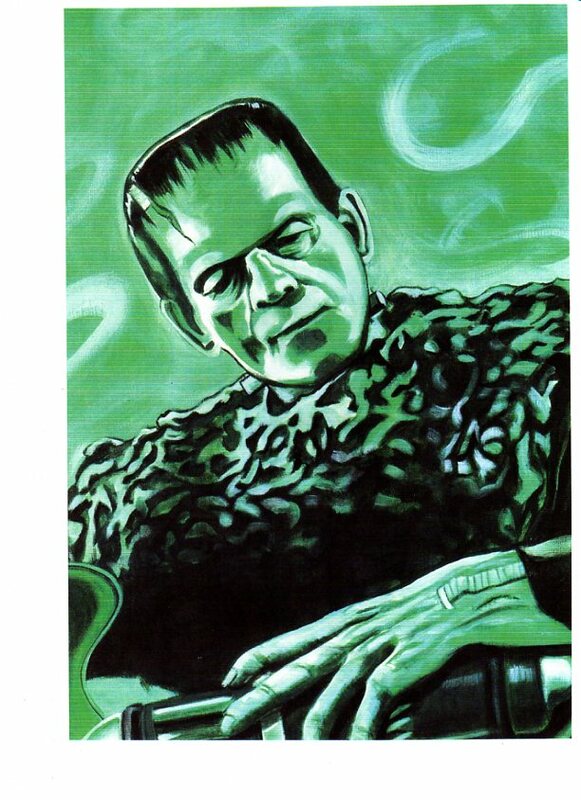 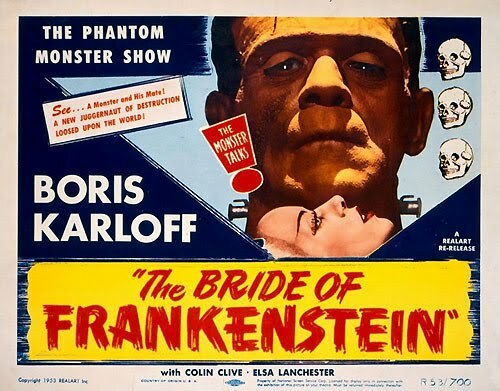 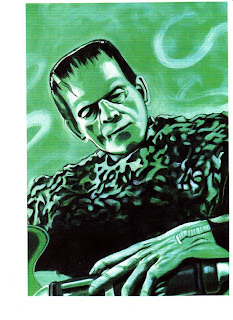 Monster Art: "Son of Frankenstein"
Here is a nice portrait of Karloff in "Son of Frankenstein". 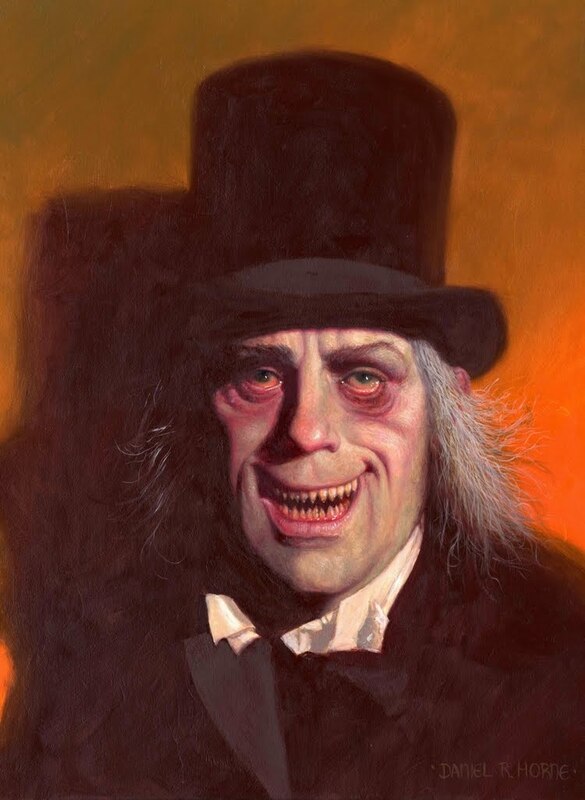 If anyone knows who the artist is, please let me know. 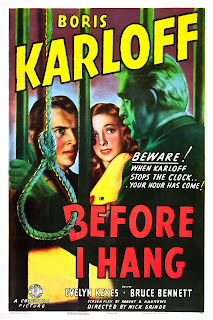 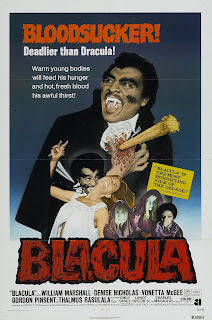 Monster Movie Posters: "Before I Hang"
Dracula's Daughter makes a perfect hostess. 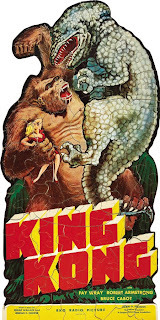 Monster Movie Posters: "Jungle Captive"
He Looks like Boris Karloff!